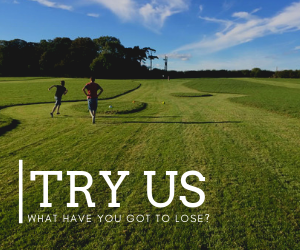 Footgolf Frenzy has been established since 2015 and in that time we have built an online audience looking specifically to play Footgolf. Make sure you don’t miss out on these bookers and capitalise on free online marketing. We are offering those courses who start using our booking system the following for FREE! To take advantange of this offer you need to be using our booking system. Remember, it doesn’t matter if you already use a booking system as our system can work independently or as your complete online booking tool. Our system has been specifically designed for Footgolf courses and can give you control over your bookings both online and manually. The booking system charges you 20% commission every time you receive a booking. But, YOU ONLY PAY ON RESULTS. There are no upfront costs or ongoing fees associated with using the system. Please note that when you work with us, we work with you on a personal basis and you will be able to contact us at anytime with updates, comments etc.